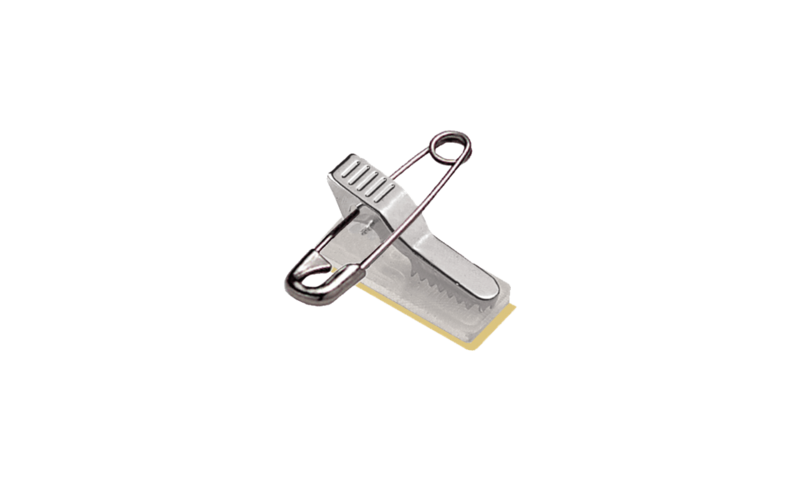 This pressure-sensitive pin/clip combo will hold your ID secure directly to your clothing. Stick it to your badge and attach using the clip or pin. Can be added to any badge holder. Base size: 29 x 11 mm. Material : Nickel-plated Steel pin/clip and plastic base. Pressure-sensitive pin/clip combo that can be sticked to any badge.